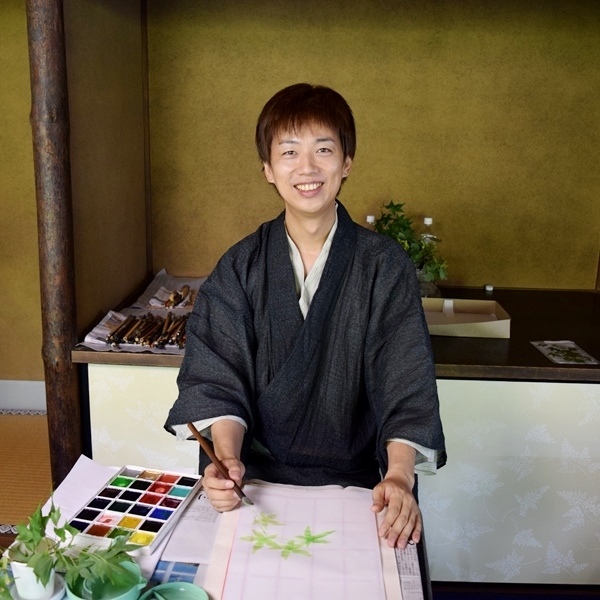 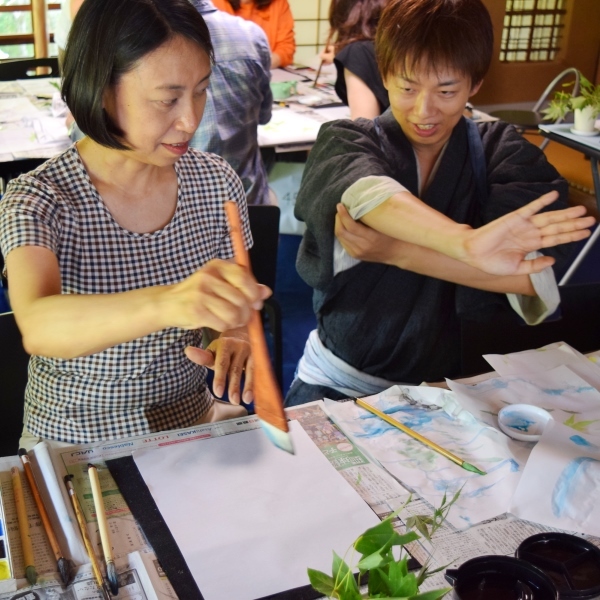 Osaka International University Associate Professor Mr. Takashi Murata held a lecture on Japanese ink paintings and explained how to draw green maple leaves. 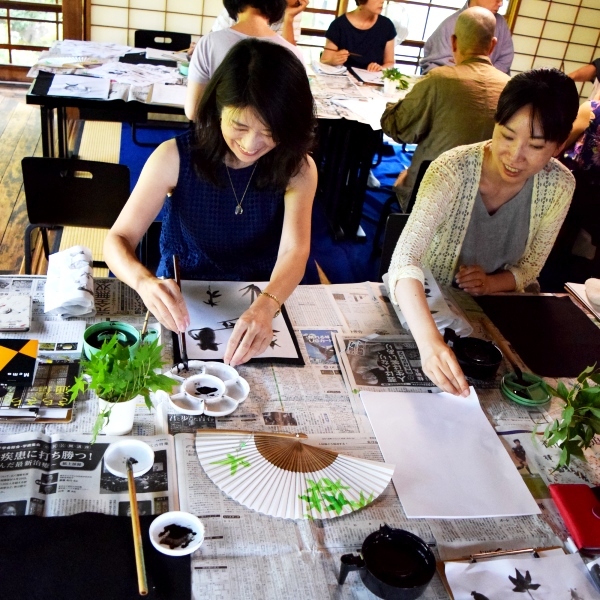 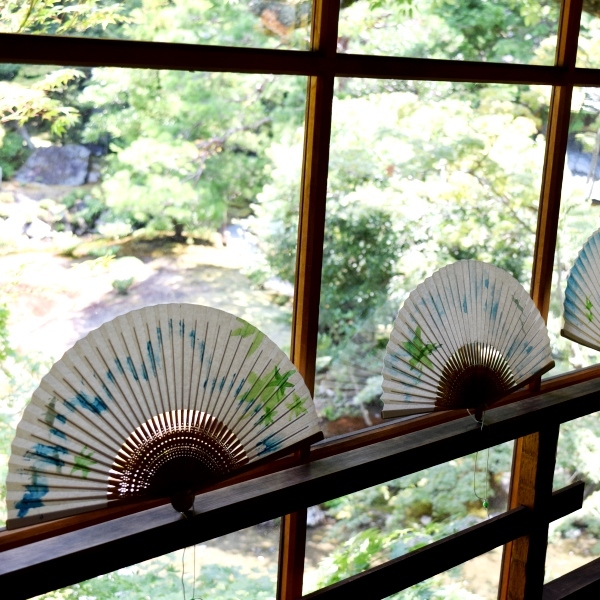 Participants could draw various leaf patterns by adjusting the brush force. 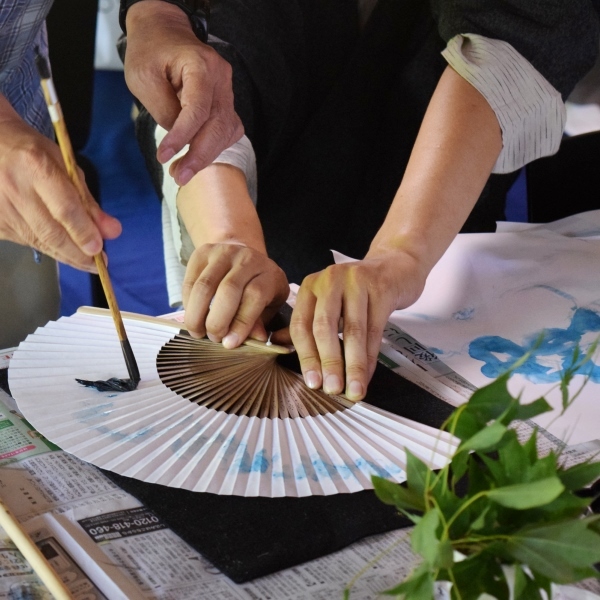 Once the participants became more used to applying the ink, they tried out painting on fans!